Then, the form closes, the data input in the form goes to a list within the same SPS2013 site, and at the same time, an e-mail is sent to the predetermined people. And that's it. I hope my question is clear. I am fairly new to SharePoint and any guidance will be truly appreciated. Its simple. First thing is InfoPath is deprecated after 2013 version and no more updates on the existing one. So better to adapt ourselves for what is coming in the future. Use REST API Or JSOM to collect all the data inside the modal and update in the list. 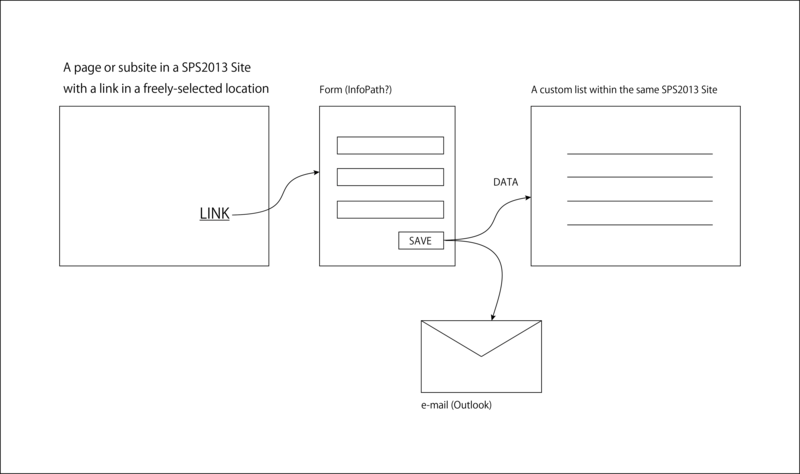 Create a workflow for sending email. Condition would be start the workflow after item is created and send the email with the items you want to describe inside it. Kindly let me know if you need further help. Call the saveListItems() function on the button click of Submit inside the Modal pop-up. Let me know if this help. Here we doing via REST API. Not the answer you're looking for? Browse other questions tagged list infopath form or ask your own question. InfoPath. Can you edit a View at a time?